There are New Year on your nose’s tip. And Santa Clause hasten to children to bring them a gifts. But evil trying to prevent to Santa Clause and make any dirty tricks to stop him. Evil try to bury Santa Clause by snowflakes or by snowballs. Helps to Santa Clause to got out of snow-bounds. You got a wonder pick. It helps you to remove groups of snowflakes and snowballs with the same color. Then you remove some “snowstuff” the upper ones fall down complicating your game. Sounds easy? Then, hurry up – load the game and prove to everyone that you are proffessional in it. 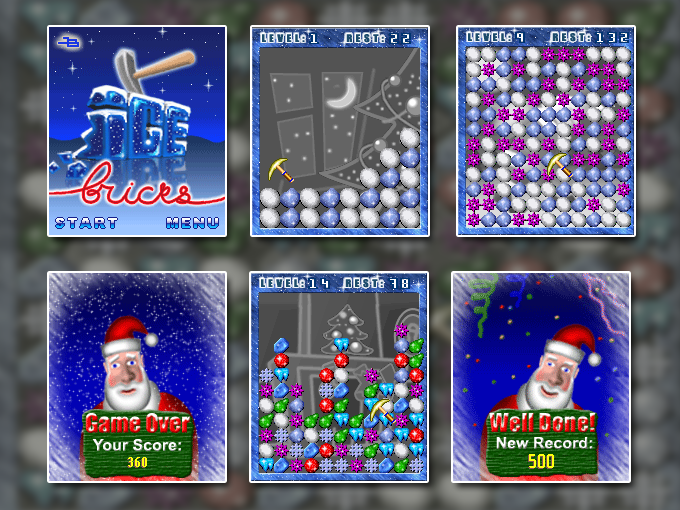 Helps to Santa Clause to got out of snowdrift by removed every snowball and snowflake.